This artwork is in response to the 25th anniversary of the 1986 Chernobyl nuclear disaster. 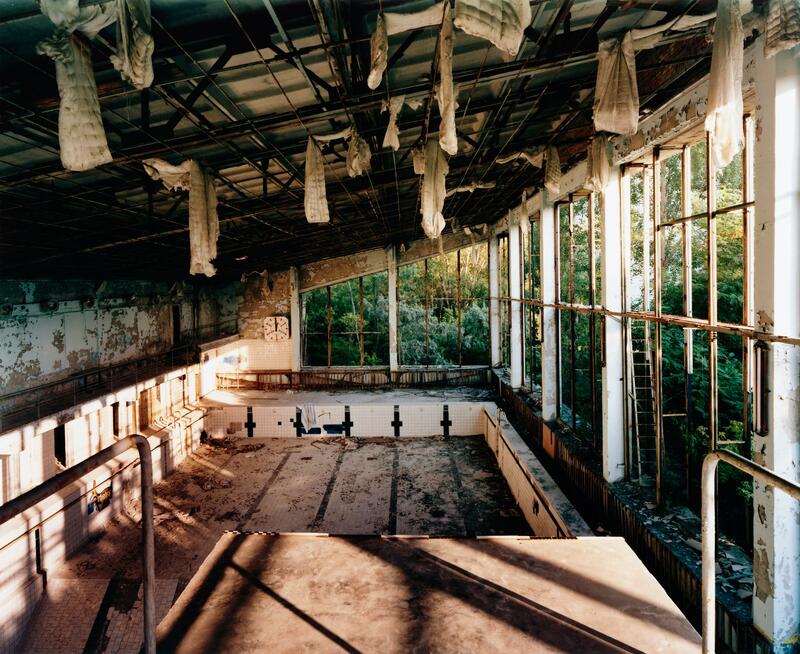 The greatest ecological catastrophe humankind has ever seen, Chernobyl is the most significant nuclear disaster to date, and has been the subject of increased reflection in the light of the recent explosion at the Fukishima nuclear plant. 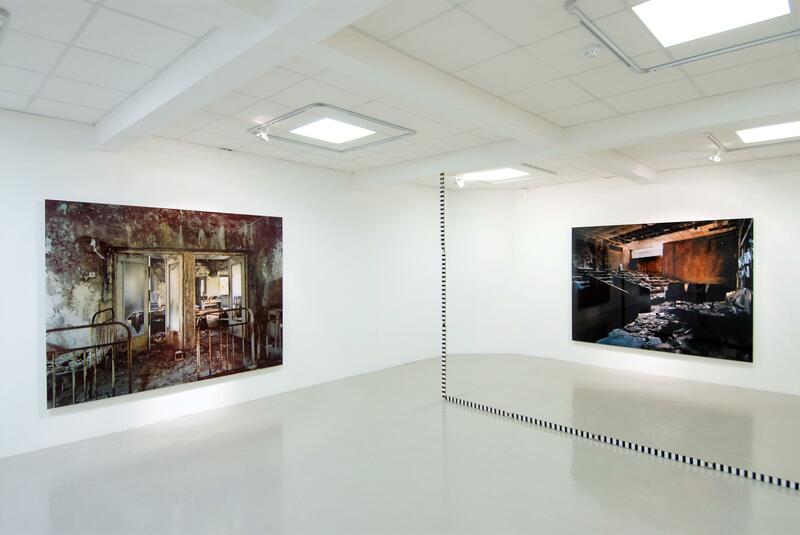 Using the recurring motif of a yardstick placed within each of the interiors, the act of entering and photographing these spaces, of interrupting this place beyond human control, provides a challenge to the viewer to consider the nature of artistic construction itself. 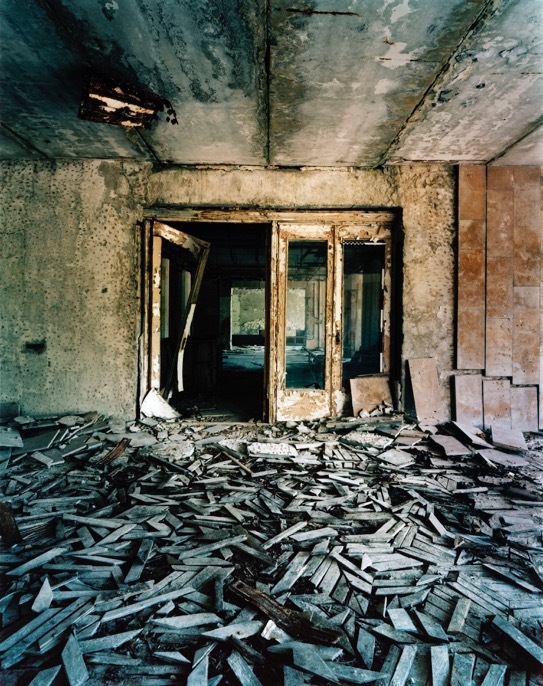 The photographs encourage us to stare back into the past, into empty manmade spaces, yet the yardsticks (a means of measurement now fallen into disuse, much like the buildings themselves) play with notions of association, interpretation and memory on material fact, on that which is recorded, measured, articulated and analyzed. How we relate to these places as we animate the works with our own presence is brought into sharp focus by this act of interference by the artist. 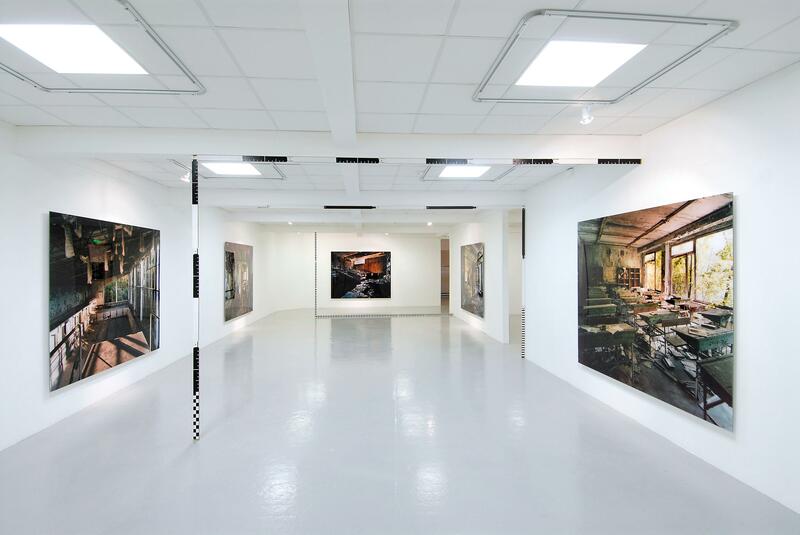 Atomgrad (Nature Abhors a Vacuum) is a suite of large-scale photographic C-prints on aluminium. The photographs were taken in the abandoned, and now almost entirely uninhabited town of Pripyat, situated within the 30km wide Exclusion Zone around the site of the 1986 Chernobyl nuclear disaster. The works take their title from term used by Ukrainian locals to refer to the former ‘Atomic City’ founded in 1970 to house workers from the nearby Chernobyl Nuclear Power Plant, and deserted just sixteen years later.